A vibrant full coloured backsack that effectively shows off your logo/design. 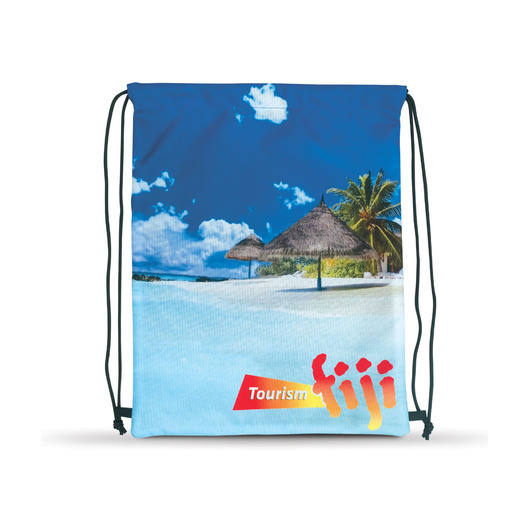 Promote your logo in impressive, vibrant full colour with these 210D polyester drawstring backsacks. They have riveted metal eyelets at the base for added strength, a full colour front and a black back unless request otherwise. Great for the gym, beach or day pack that shrinks down to a compact size when not in use. Decoration Area Sublimation Print: Please ask us!